Stay at our hotel near Powell’s Books, Portland and enjoy all the comforts of our upscale lodgings while remaining within walking distance from one of the city’s top attractions! Often referred to as the “City of Books” this original location is the largest independent new and used bookstore in the world, with book lovers from all across the globe trekking to the Pearl District every year to visit this iconic literary institution. 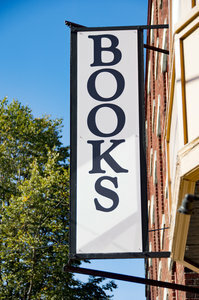 Our hotel near Powell’s Books, Portland is just a 2 minute walk away! After exiting the hotel, walk north on SW 11th Ave, make a right on W Burnside St, and you’ll find yourself at the bookstore! After opening their doors in 1971, Powell’s Books has become one of the city’s most iconic institutions. Taking up a full block on Portland’s W Burnside Street, the store was originally opened by Walter Powell with help from his son Michael, in the still up-and-coming Pearl District. 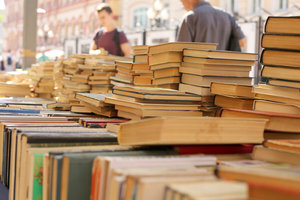 With a new strategy to sell both new and used books all on one shelf, the store was a hit and became a huge attraction for book lovers across the globe thanks to their wide selection of titles. Decades later, Powell’s has expanded to multiple locations across the city with Walter’s granddaughter, Emily, now at the helm of the organization. 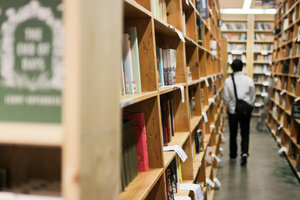 Powell’s purchases 3,000 used books daily. 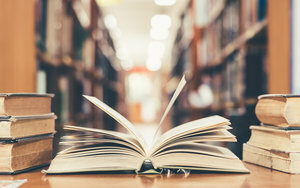 Learn more about Powell’s Picks, read interviews with prominent authors, and discover events by reading Powell’s Books blog! The City of Books has nine color-coded rooms with over 3,500 different sections throughout the entire store. The massive store hosts a number events throughout the year. Check out their event calendar to learn more! Book your stay at our hotel near Powell’s Books, Portland today to enjoy easy access to one of the city’s top attractions.